Sites of Resistance investigates a part of American Indian history that is often glossed over in K-12 history books. The history of the United States is a history that is intrisincally embedded in a story of colonialism, war, genocide, and exploitation. We cannot talk about the United States without acknowleding that the very presence of this nation is predicated on the colonization, removal, and forced assimilation of native peoples and their cultures. We do not claim this to be a complete history of American Indians. 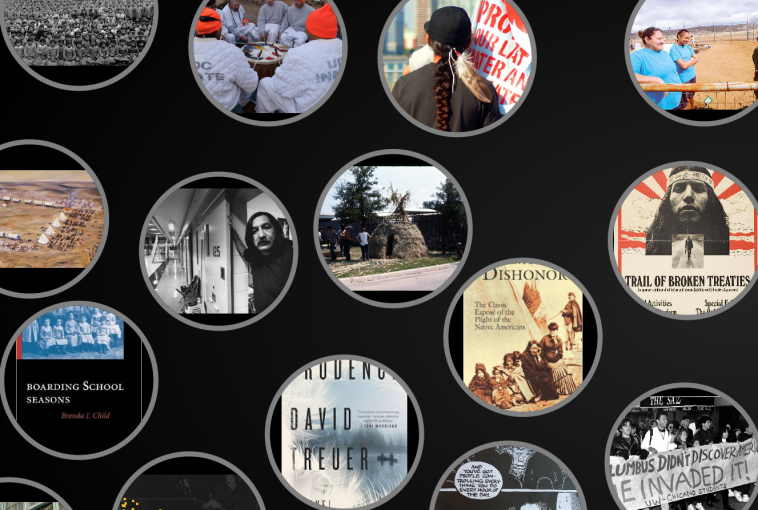 Rather, by showing a fragment of this story through a lens of resistance, our goal is to convey how incomplete and invisible American Indian history is in the mainstream. We share some facets of this story, while posing questions that are meant to challenge our understanding of sovereignty, citizenship, nationhood, and freedom, and compel you, the reader, to seek more.